You asked us a question. 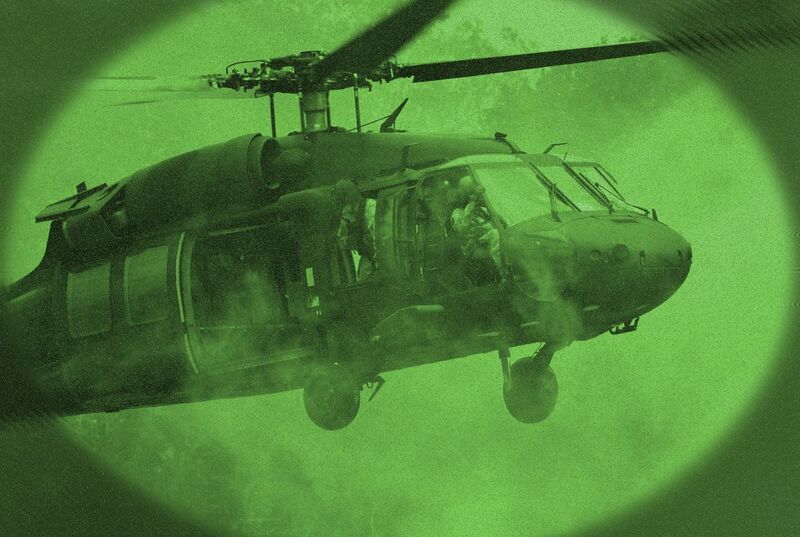 How does night vision technology work? Our eyes allow us to see a wide range of lights. That changes when the sun goes down. When the sun goes down our ability to make out stuff drops off quickly. Colors fade. Things get fuzzy. Our eyes become useless. And we're what goes bump in the night. There are two very cool types. The first is thermal imaging. It registers on the upper portion of the infrared light spectrum. It is invisible to humans. This kind of light is emitted as heat by things like warm bodies. It's emitted from recently driven cars and even some chemicals. Thermal imaging devices can see through the fog, smoke and dust. Type number two amplifies available light from the visible spectrum as well as some infrared light. It makes things look brighter than they appear to the naked eye. Most night vision equipment uses this imaging enhancement technology. But it's useless if it's pitch black. 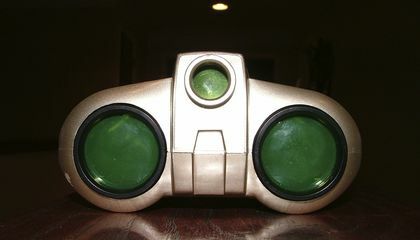 It was originally developed to spot enemy targets. Now night vision is used for all kinds of things. It's used in this from military gear to baby monitors. Because you know, you've got to get the upper hand on these babies. Why would baby monitors use military technology? Baby monitors would use military technology because then you can see better. who would think that baby monitors is the same as the military technology. To see the baby in the dark. So parents can see if their baby's dieing. It would use military technology to see if they are crying or if they need to eat. i think night vision glasses are really cool, and i thought to myself i want a pair just because i think they would be cool to use, but i have a question... are these glasses expensive? and are they even for sale?